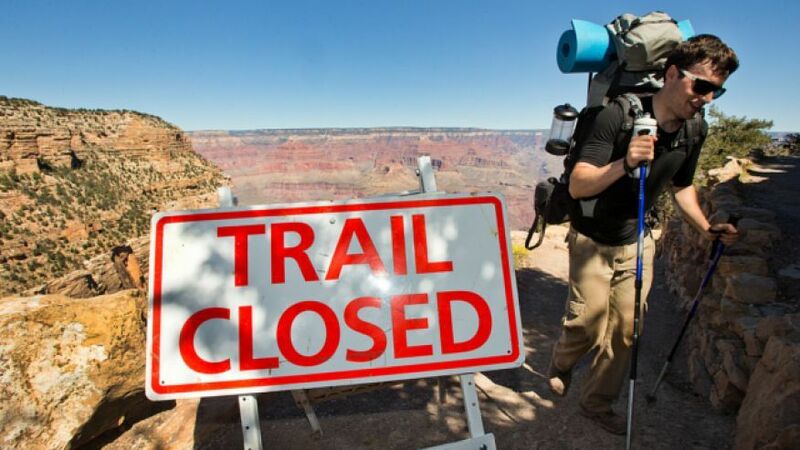 (Fox News) With the partial suspension of U.S. government services showing no signs of ending, tourists will continue to be turned away from the Grand Canyon, despite a push by Arizona Gov. Jan Brewer and local businesses to reopen the state’s signature national park. Brewer wants the iconic park reopened and has offered to pay for it with state money, but her proposal was rejected Thursday by a park official who said that as long as the federal government remains shut down, such a plan isn’t an option. “I appreciate the support and I thanked them for the offer, but it’s not an offer we can accept,” said park superintendent Dave Uberuaga. @GOPBlackChick But, without park workers, how will people know what trees look like and to Stay On The Trail?